Buy online 16PIN SMD TO DIP Adapter in India at low cost from DNA Technology. This is a 16 pin SMD to DIP adapter a perfect PCB if you do not want to solder your IC directly on the main PCB. This is a double sided PCB. 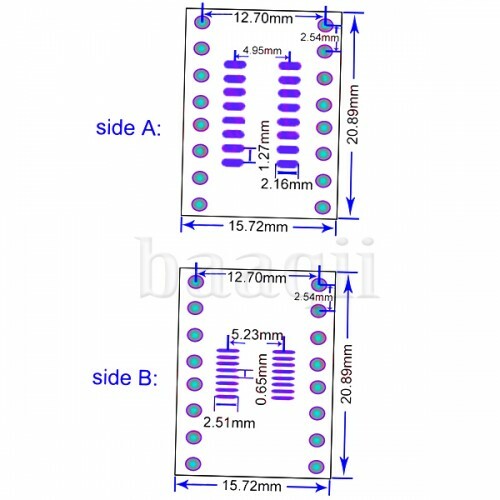 Each side has 16 pins for mounting various packages of 16 pin IC. 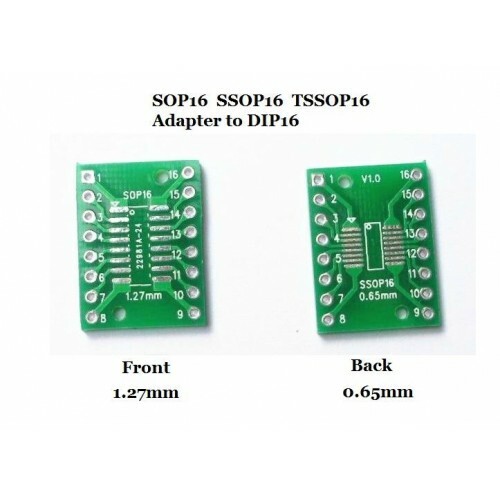 This PCB supports SO16, SOP16,SOIC16,SSOP16,TSSOP16 and MSOP16 IC packages with 1.27mm & 0.65mm pitch. Side one supports pitch size 0.65mm. It can be used for most of the MSOP16, SSOP16 and TSSOP16 packages. Side two supports pitch size 1.27mm. 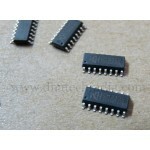 It can be used for most of the SO16, SOP16 and SOIC16 packages. CH340g USB to TTL ICCH340g is a USB to TTL IC which is an alternative to difficult to solder CP2102 ..